Professor Simon Chapman of the Sydney School of Public Health has sent the following letter in response to attacks made against him by Victorian Senator John Madigan, of the Democratic Labor Party. He has allowed us to reprint it. My attention has been brought to your questions to Professor Anderson of the NHMRC in the Senate Community Affairs Legislation Committee on October 20. I would like to assist you with your interest in this matter. This conclusion is consistent with at least 5 reviews of the available evidence of which I am aware. Please let me know of you would like to see these reviews and if, as a person with no training in public health or epidemiology, you would like assistance in interpreting their meaning. My last role on any NHMRC committee was in 2008, which was well before the NHMRC’s rapid review of windfarms and health in 2010. 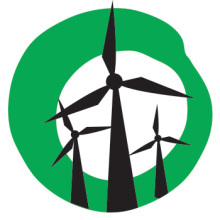 I have never at any time received financial support from any wind energy conglomerate or company, nor agents acting on their behalf. I am fiercely protective on my independence in this matter and will publicly correct any such claims or suggestions, as I will do shortly on Twitter. I have been a researcher in public health since the late 1970s. Since that time I have received 19 NHMRC research grants. These are all shown on my CV here (PDF). Like 1000s of other researchers, I have reviewed grant applications for the NHMRC almost every year of my career. I am perplexed about why you apparently believe a researcher who receives NHMRC funding should be called “biased” and should be disqualified from peer review. All researchers in all universities and research institutions with a health and medical focus seek to obtain NHMRC funding, which is highly competitive. Any Australian researcher in the health area who had never received an NHMRC grant would unlikely to be regarded as very expert by most of his or her peers. 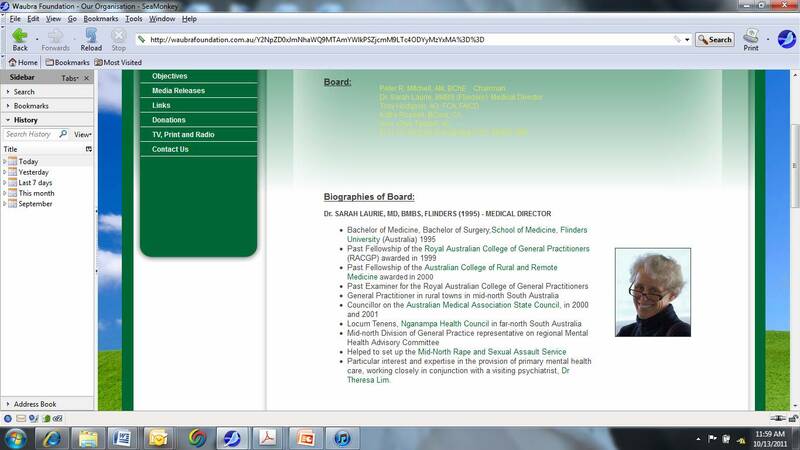 By contrast, it is my understanding that the “medical director” of the Waubra Foundation, Sarah Laurie, has never had NHMRC funding, never published anything in a peer reviewed research journal and until very recently claimed on the Waubra Foundation website to have an MD degree, which she does not in fact have. (see screenshot). MD degrees are awarded by universities in recognition of a substantial body of published research. I also understand that Sarah Laurie claims to be conducting “research” into windfarms and health involving human subjects but that this research has not be cleared by any institutional human research ethics committee. If I were to undertake research with humans at my university without human ethics committee approval or if I was to falsely state that I had a degree which I did not have, I would almost certainly dismissed from my position as my conduct would be regarded as unethical and fraudulent. Given your interest in the integrity of research in this matter, I would urge you to raise in the parliament your concerns about the activities of the Waubra Foundation. That’s a fabulous letter from Simon, I wonder if the senator will have the good grace and intelligence to realise and acknowledge he has been sold a furphy by Laurie and company? Why do people continue to believe rumor mungers lacking any credibility or any factual basis for their claims rather than people like Simon Chapman who use science? It’s a mystery to me. No reply from Senator Madigan as yet. And no explanation from Sarah Laurie about why she had “MD” listed as a qualification on the Waubra website for so long, despite making other edits to her listing in recent months. Previous Previous post: Anglesea coal mine extension – Ted Baillieu’s worst environmental decision yet?